Cristiano Ronaldo is an injury doubt for the Champions League quarter-final first leg against Ajax on April 10, Juventus coach Massimiliano Allegri confirmed on Friday. 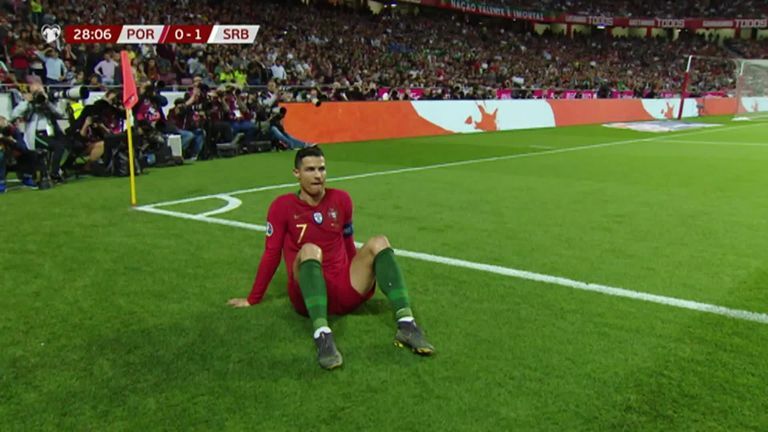 Ronaldo, a five-time Champions League winner, left the field with a thigh problem when captaining Portugal in Monday's draw against Serbia. Ronaldo insisted he was not too concerned in his post-match comments, but Allegri admitted it may be a risk to play him in the first leg at the Johan Cruijff ArenA on April 10. "We have to be careful because we're in a tricky period of the season. It's better he misses one match and comes back when he's 100 per cent so there's no risk of a repeat injury. It's better to miss one match than two months. Does the law move slowly for Ronaldo? Serie A champions Juventus travel to Amsterdam before hosting the Dutch side on April 16, with the Italians looking for a first European title since 1996. Juve have virtually wrapped up the Scudetto crown for an eighth straight season as they hold a 15-point lead over second-placed Napoli with 10 games of the season to go and face Empoli on Saturday.